A trendy vintage fit gone wrong; a washing machine error; one or ten too many beers—there are a variety of reasons you may wake up one day to find your favorite shirt just doesn’t quite fit anymore. While it’s obviously not a physical possibility to increase the total area of material on a shirt without significantly altering it, you can make your shirts larger by gently stretching them and taking special care when washing and drying them. It all starts with your washing and drying practices. 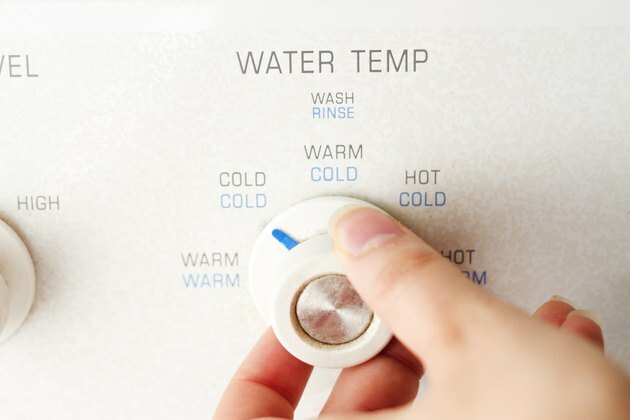 Try washing in warm, cool or cold water instead of hot. The lower temperature will reduce the likelihood of material contracting in the wash. The tradeoff, of course, is that hot water cleans clothes better. If you’ve been using an electric dryer to dry your undersized shirts, stop doing so. Hang-dry your shirts; the initial weight of the water will gently stretch and elongate the material as it hangs, and the lack of harsh electric heat will prevent the material from shrinking as it dries. If length (and not overall fit) is your main concern, you can use clothespins around the bottom of the shirt to add vertical pressure. Plan ahead. 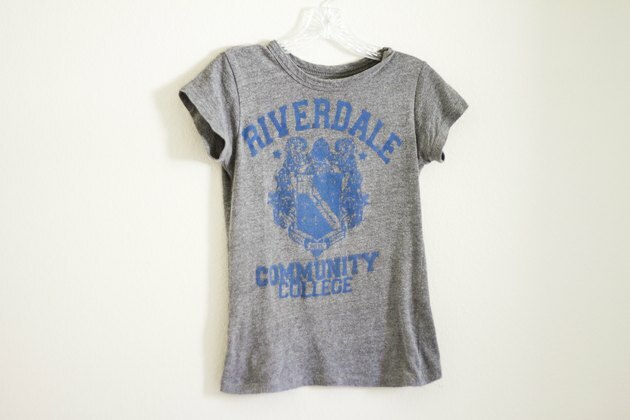 If you want to stretch out a shirt, you should start the process no later than the night before you wear it. Trying to stretch out a shirt by hand right before you walk out the door will leave you wearing awkward stretch marks and unnatural wrinkles, which looks as bad as a too-tight shirt, if not worse. Stretch in your sleep. One easy way to break in a shirt the night before you want to wear it is to simply wear it to bed. The movements you make in your sleep and the gentle friction between the shirt and your sheets will loosen the fibers of the shirt significantly by the time you wake up. If you don’t want your shirt to look like you slept in it, you can overstuff it with pillows, blankets or towels before you go to bed. Make sure there is significant pressure to keep the material slowly expanding throughout the night. Stuff the shirt evenly to avoid stretch marks and use rolled-up towels or bedding to stuff the arms. 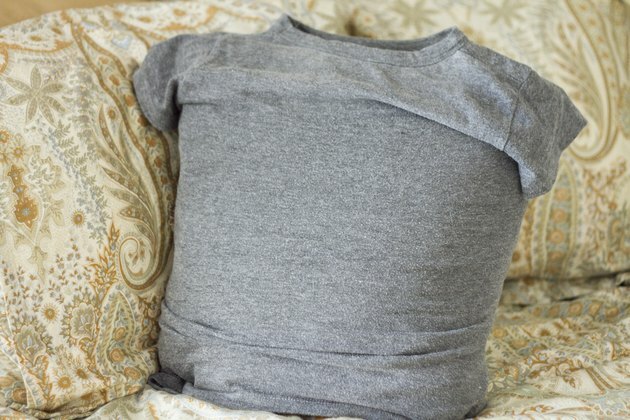 If you stuff your shirt with pillows overnight, set it somewhere where it won’t scare you when you wake up in the middle of the night for a bathroom break. Stuffed shirts sitting on a chair or couch can look pretty scary when it's 3:00 a.m. and you're half-asleep. Keep those too small, favorite shirts because with this simple alteration technique, you can make any shirt fit like a glove.